On Thursday, September 27, 2018 Socrates Sculpture Park honored acclaimed artist Ursula von Rydingsvard alongside philanthropists Jayne and Leonard Abess as part of the Park’s 2018 Annual Benefit Gala. Nearly 400 guests came together to celebrate these three individuals who reflect the Park’s mission to support artists and their creative endeavors, to cultivate a sustainable environment on our urban waterfront, and to provide accessible and impactful programming for our Queens community. 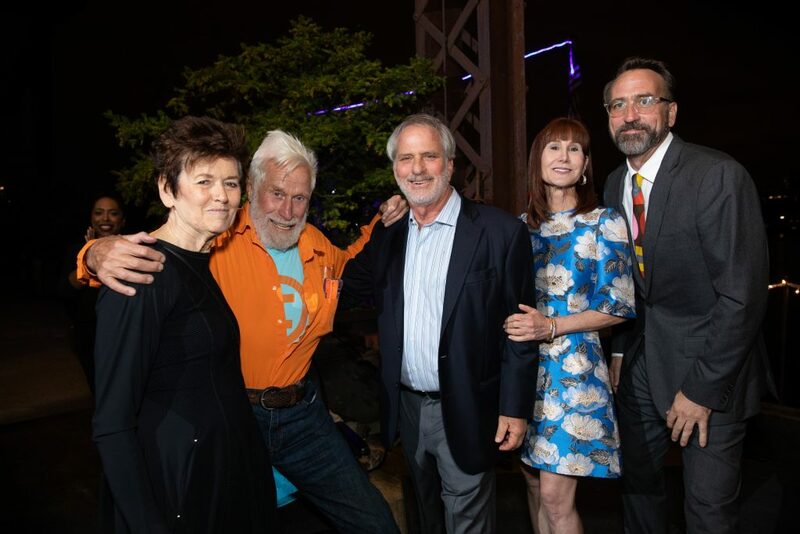 The 2018 gala was hosted at Mark di Suvero’s magnificent waterfront studio in Long Island City, where guests mingled on the pier and enjoyed boat excursions on the East River. 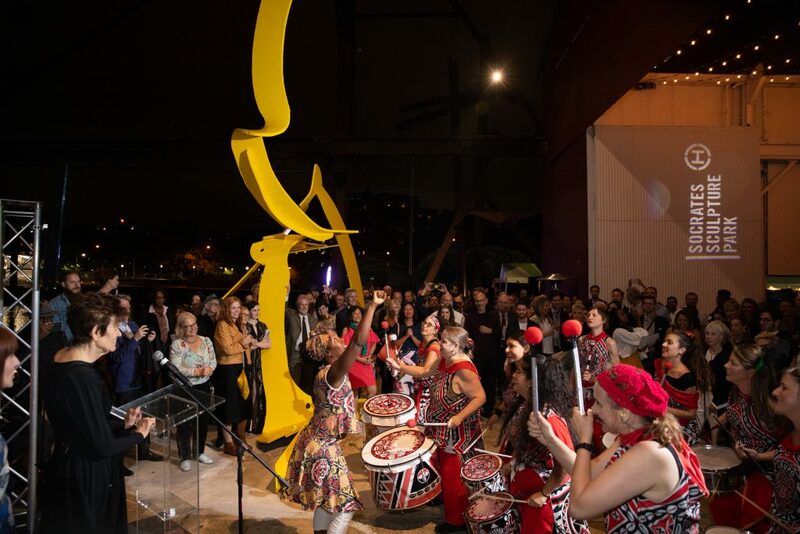 The Annual Benefit Gala raises critical funds that directly support a year’s worth of programs, operations, and maintenance at Socrates Sculpture Park, allowing us to support artists and produce free arts programming serving more than 200,000 people annually. If you wish to support the Park with a 100% tax deductible contribution, click here. *Special thanks to our 2018 Gala Host Committee!